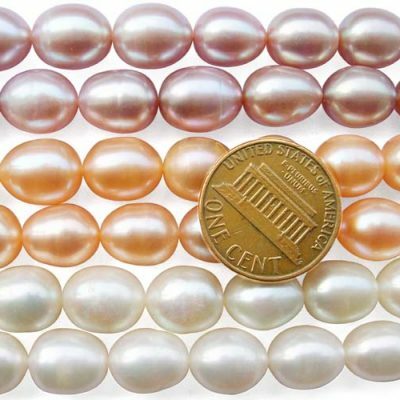 These freshwater rice pearls are in stock with nice quality at 10-11mm(width) huge sizes. 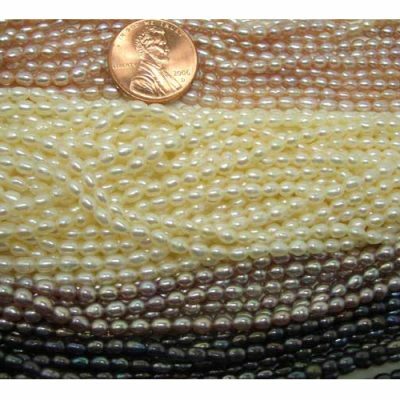 Each strand has an approximate weight of 50gram. 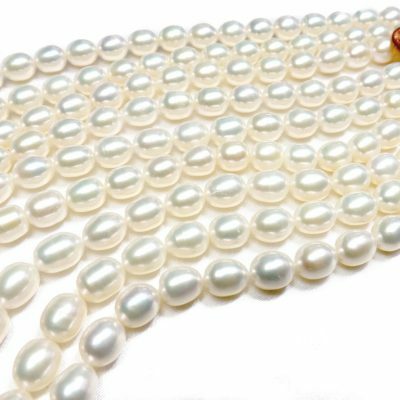 These pearls are AA- graded in oval or rice shape and a few minimal natural surface markings to show they are made of real pearls. Since these pearls are large they had to stay under water for a much longer time. 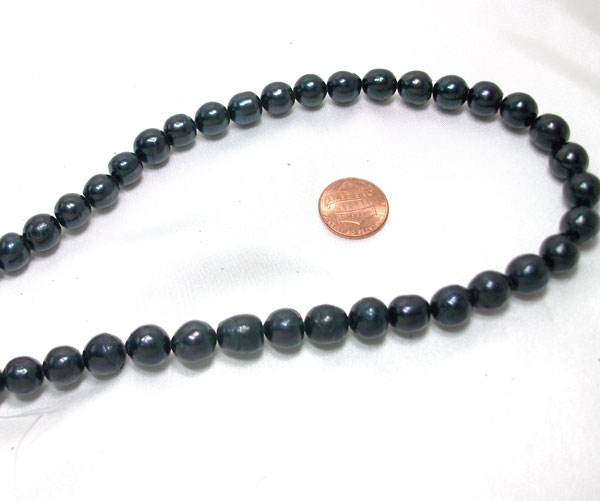 Only black colored pearls are available for immediate delivery.